This area of business continues to be developed to meet customer requirements. 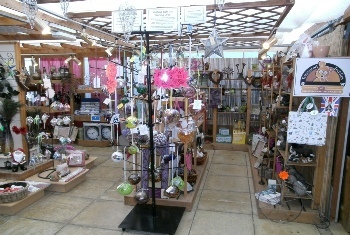 The indoor display areas carry a selection of Gifts and Homeware in a range of different styles and materials that are aimed to appeal to a wide range of tastes and requirements. 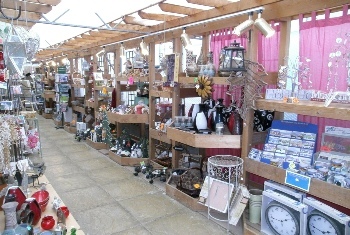 We carry an ever expanding range of general Home and Giftware including garden related items. 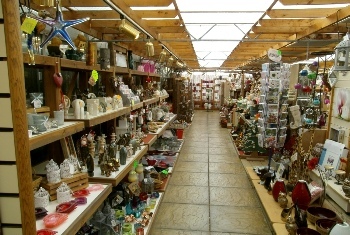 Items range from ornaments and sculptures in differing materials of stone, resin or timber etc together with candleware, painted containers and ornaments, tin-ware and dried flowers. 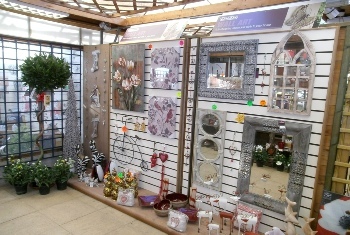 We are gradually increasing and developing our range of decorative wall art in different styles including hand carved ceremonial masks, decorative mirrors and surrounds in metal, and hand carved timber, canvas and framed pictures, and decorative glass picture panels. An ever changing choice of artisan glassware based mainly on hand-blown glass ornaments, hanging globes, hearts and teardrops etc, in a wide range of designs and colours which include tea light holders and candle supports. A selection of hand woven basketware is available with items designed for use indoors or outdoors as appropriate. Sizes range from small decorative items, through plant containers up to log basket size. The materials used range from reed to cane and come in a selection of natural colours and designs. We have now added a small selection of fashion accessories which we hope to expand in the future. 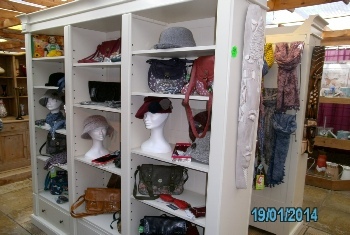 Our present range includes a selection of handbags, purses and matching hats/scarves. For cooler weather we also have woollen fashion hats and matching scarves & mittens.